UFO's, unfinished objects, for the unquilty out there. 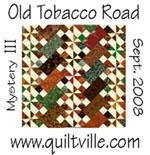 Greater Columbia Quilt Guild, of which I am a member, has issued a UFO challenge for 2011. You say, what is that jumble of a mess in the picture. UFO's. 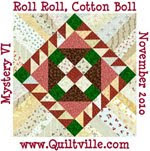 Here are some stacked up to be quilted. There are a few others also, 14 that I found. I am sure there is more hiding in there. LOL. I am going to add a list to my side bar and cross them off as I go. Hopefully I will get these done. There are a few king sized ones. The one on top on the right is my Galaxy Star, OH my! Anita said I had to have it finished by Spring Meeting. It is KING. I better get started. Wish me luck. WHAT!!? There is a Galaxy Star out there that hasn't been shown at Show and Tell yet!? 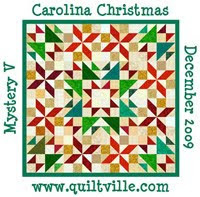 I finished my Galaxy Star in 2010, but I paid a long arm quilter. That way I was able to start more UFOs, lol. I am still in denial about just how many UFOs I have. I think you are very brave to put the list on your side bar, I'll be rooting for you. Good luck! I have the same challenge!